Bal Harbour Shops, founded by owner/developer Stanley Whitman in 1965, ranked the number one most productive shopping center in the U.S., based on average sales per square foot, according to Women's Wear Daily. The lushly-landscaped, open-air mall was the first mall location for many famed merchants such as Gucci, Cartier and Bulgari. Louis Vuitton, Prada, Sergio Rossi, Dolce and Gabbana, and Roberto Cavalli chose Bal Harbour as the site for their first ventures outside New York. The "Shopping Hall of Fame" now houses 100 world-class boutiques and flagship stores. 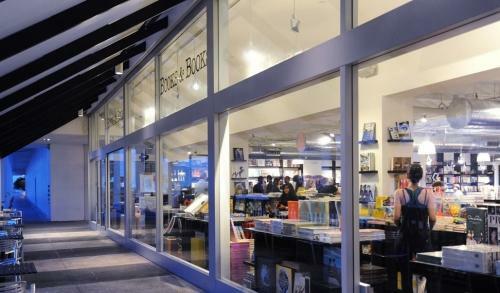 Books & Books Bal Harbour Shops is located on the third level of the mall. Part of the Miami-Dade miracle settlements that sprang from mangrove marshes to exclusive havens in little more than a generation Bal Harbour, Bay Harbor Islands, Indian Creek Village and Surfside sit just north of Miami Beach.